Integrated Control Technology is using Green Hills Software's MULTI® IDE, C Compiler, and Slingshot debug device on an ARM7TDMI processor to develop their Protégé LCD User Stations. The user stations provide complete facility access and security system control from a keypad. 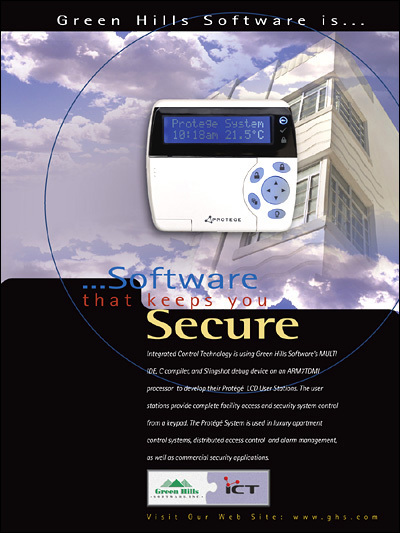 The Protégé System is used in luxury apartment control systems, distributed access control and alarm management, as well as commercial security applications.